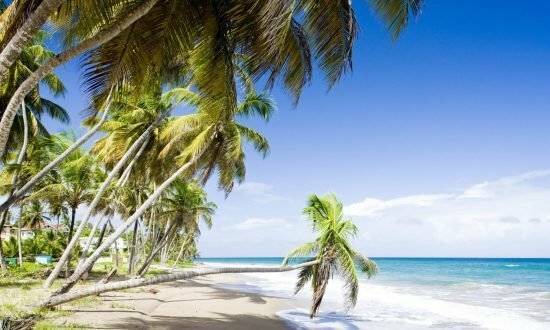 With a unique combination of French and English culture, exotic flowers and rare fruits, a rich history of storytelling and well-seasoned foods, it’s no wonder Grenada is known as the “Island of Spice”. 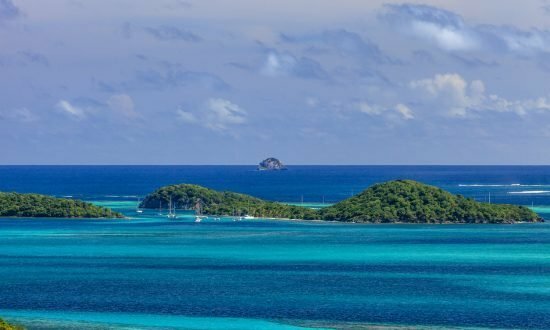 It’s also the gateway to the unspoiled cruising grounds of the Grenadines, which promises some of the best sailing anywhere in the Caribbean. Set your dreams in motion by discovering more about the beautiful West Indies. The nation of Grenada is a chain of several islands including Grenada, Carriacou and Petite Martinique. The country gets its nickname as the Spice Isle because it is a leading producer of cinnamon, cloves, ginger, mace, allspice and nutmeg. Beautiful beaches make up the coastline, including the 1.9 mile-long Grand Anse Beach in St. George Paris, which frequently appears in Top 10 lists of the world’s greatest beaches. The marine life is spectacular here and you’ll spot turtles, rays, dolphins and a spectrum of tropical fish. From our base you can sail onwards to Union, Mayreau, Tobago Cays, Mustique, Port Elizabeth, Bequia, St. Vincent and St. Lucia. It’s easy to get involved in local culture with festivals and carnivals ashore or on the water with sailing weeks and regattas. Whether it’s relaxing on a deserted beach, swimming the corals, hiking rainforests or exploring centuries-old forts, Grenada radiates Caribbean soul with a Calypso beat. 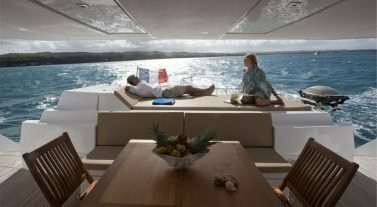 Dream Yacht Charter in Grenada: Our base is in Port Louis Marina and our friendly team will look after you, giving local tips and advice. Choose from all-inclusive Tobago Cay cabin cruises or, for bareboat charters, take a look at our fleet. If you need help planning your charter, check out our Inspirational Itineraries section or get in touch with our team to find out more. The time difference in Grenada is Coordinated Universal Time (UTC) -4 hours. US citizens do not need a visa, but make sure your passport and documentation is in order to travel. Talk to us to make sure you have the correct documents before you travel. You’ll find taxis are at the main drop off and pick up destinations, but be aware there is a higher rate after 6pm. Inward clearance must be completed by the captain before any crew member lands. Four copies of the crew list/clearance form are required and can be completed in advance. Outward clearance is also required from Grenada to ensure inward clearance in the next country to be visited. Yachts should depart within 24 hours of clearing out. The Grenada Customs and Immigration offices are open Monday to Friday (8am to 11:45am and 1pm to 4pm) and at the weekend (8am to 1:30pm). The currency is the Eastern Caribbean Dollar, but US$ are accepted everywhere. Credit cards are accepted widely in larger stores and restaurants but you may need cash for independent, small businesses. You can find ATMs at the banks. Banking hours are Monday to Friday (8am to 2pm). Clothing with camouflage prints is not permitted to differentiate between civilians and the military. Grenada has a tropical climate which is warm all year round with temperatures between 72°F and 85ºF. Temperatures are cooler in the dry season, which lasts from December to May, when they are cooled by the trade winds. The rainy season is hot and humid. Grenada suits sailors of all skill levels, who will revel in the unspoiled lands of the Windward Islands. 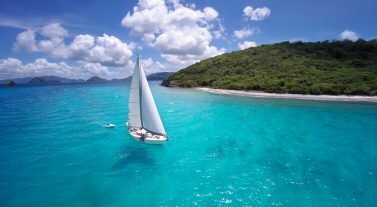 Sailing conditions are slightly more challenging than those found in the British Virgin Islands, but still offer short passages and breathtaking scenery. 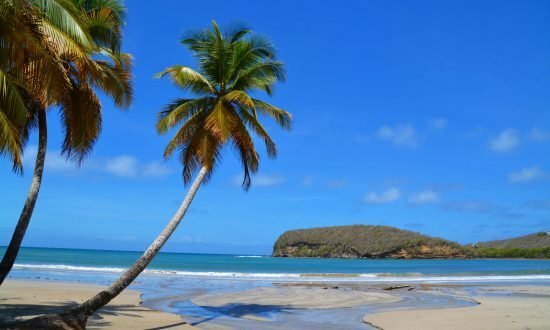 Day 1: At Tyrrel Bay, Carriacou, anchor among the local fishing boats and enjoy a stroll followed by a drink ashore at one of the many rum shops. Day 2: Have breakfast at Sandy Island, a beautiful stretch of white sand with no more than half a dozen palm trees. After breakfast and snorkeling, sail over to Union Island and complete check in formalities for St. Vincent at Clifton Harbor. Continue north for a short distance and drop anchor at delightful Salt Whistle Bay on Mayreau for the night. Day 3: Enjoy a great breakfast at the Salt Whistle Bay Resort. Take a short sail to the Tobago Cays and spend the day snorkeling the reef, swimming with turtles and exploring by dinghy, or just stay on board and marvel at the natural beauty of the cays. For dinner, barbecue under the stars. 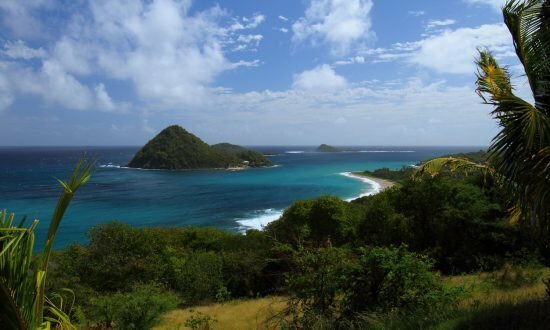 Day 4: Sail back to Clifton for check out, and then head for the west side of Union Island, where you’ll find Chatham Bay, which is a beautiful deserted bay surrounded by hills. A beach barbecue with a local chef will make the night unforgettable. Day 5 and 6: Either relax for an extra night at tranquil Petit Martinique or, if it’s the last full day, sail back to St George’s. Make a stopover for snorkeling at the stunning underwater sculpture park in Grand Mal Bay, just minutes north of the capital. Refuel at the Yacht Club and clear customs by the Dream Yacht Charter office by 4pm. Enjoy a last night meal at one of the many local restaurants. A two-week charter will either allow you time to do both, or extend your northern excursion to include a couple of days in St. Lucia at the famous Pitons. Or head to gorgeous Marigot Bay, stopping at Wallilabou in St. Vincent for checking in/out and explore one of the filming sites of Pirates of the Caribbean. Plan for two or three days to explore the southern bays of Grenada as in our 7-day itinerary. Day 4: From the Tobago Cays, set sail for chic Mustique, an exclusive, star-studded Caribbean retreat. Spend the night here or, after lunch, take a short sail to the anchorage at Landing Bay on deserted Baliceaux to the north. Day 5: In the morning, sail over to the south-eastern tip of Bequia, and turn into delightfully quiet Friendship Bay for a swim and lunch. In the afternoon, take the passage between Middle Cay and Petit Nevis to the spectacular western tip of Bequia, and anchor in Admiralty Bay. Soak up the friendly, bustling atmosphere ashore and have an excellent meal at one of the many restaurants. Day 6: After an early morning trip ashore to replenish provisions at the local market, snorkel the reef off Princess Margaret’s beach or dive the wall at Devil’s Table. A short but exhilarating sail across the Bequia Channel to the north will bring you to Young Island Cut or Blue Lagoon for the night. Day 7: Get ready for a great sail down the eastern side of Bequia to Canouan. 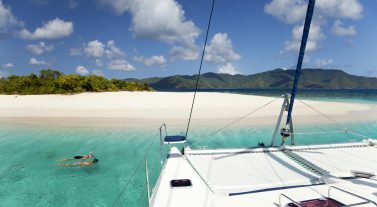 Anchor for the night in Grand Bay and enjoy the fabulous beach, crystal blue waters and gleaming white sand. Explore the Tamarind Club ashore and dine in perfect surroundings. Day 8-9: Take another night to revisit the wonders of the Tobago Cays and clear customs at Clifton on Union Island once more. Our Grenada Base Manager will be pleased to welcome you on arrival. Our base is at Port Louis Marina, St. George’s, and we’re open 8am to 5:30pm, seven days a week. 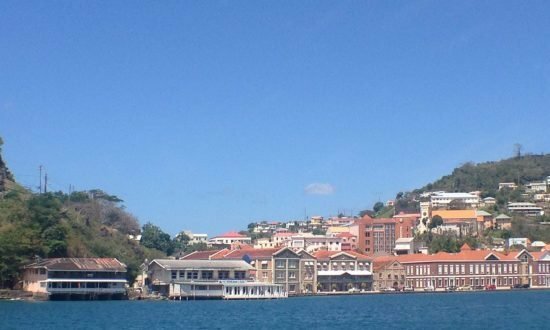 Grenada has the closest international airport to the cruising grounds of the Grenadines, making Port Louis Marina one of the most convenient marinas in the Caribbean. 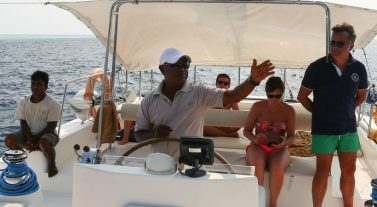 The check in time on board the yacht is 5:30pm and chart and boat briefings are available from 8:30am the next morning. Check out time on the last day is 11am. Port Louis Marina’s Capitainerie is open 7am to 7pm, all year round, and you’ll find a service restaurant, washrooms, taxis and a laundry nearby. Customs and Immigration is next to the Dream Yacht Charter Office. Provisioning is available through the Dream Yacht Charter office or you can shop at the Foodland supermarket – a five-minute walk or one-minute dinghy ride – or Island Water World chandlery – a two-minute dinghy ride from the Dream Yacht dock. The Merry Baker is an on-site bakery located at the marina entrance close to the main gate. Fly to Maurice Bishop International Airport (GND), Grenada, from New York (4 hours 10 minutes) and Atlanta (4 hours 25 minutes) with Delta and JetBlue. We can arrange airport transfers on request to our marina, which takes about 15 minutes by taxi. Make sure your passport is in date and valid for the duration of your stay, and we’ve got visa advice under our Handy Info section. Trolleys are available for use by berth holders and if you have a heavy or awkward load, please ask a member of staff to assist you. Please return the trolleys.